Instant PDF of the Winter 2012/2013 Cruise Industry News Quarterly Magazine edition. Instant PDF of the Winter 2012 Cruise Industry News Quarterly Magazine edition. In exclusive interviews and research, Cruise Industry News Quarterly covers all aspects of the industry – from issues and challenges to business strategy and growth potential. 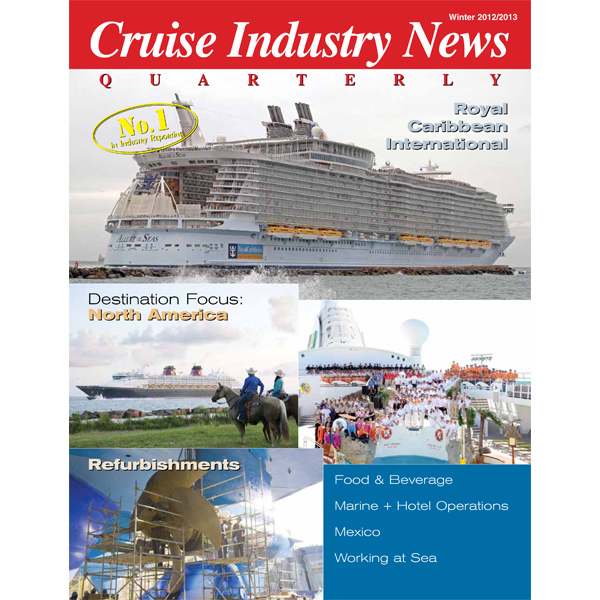 Cruise Industry News Quarterly covers new ships, shipbuilding, naval architecture, design, repairs and refurbishments, as well as marine and hotel operations, compliance, new technology, food and beverage, human resources, recruitment and training, safety and environmental protection, plus ports, destinations and itinerary planning. Exclusive industry coverage is based on Cruise Industry News' more than 25 years of experience and insight. The subscription price is $75 within the U.S. and $110 to all overseas destinations for four issues. 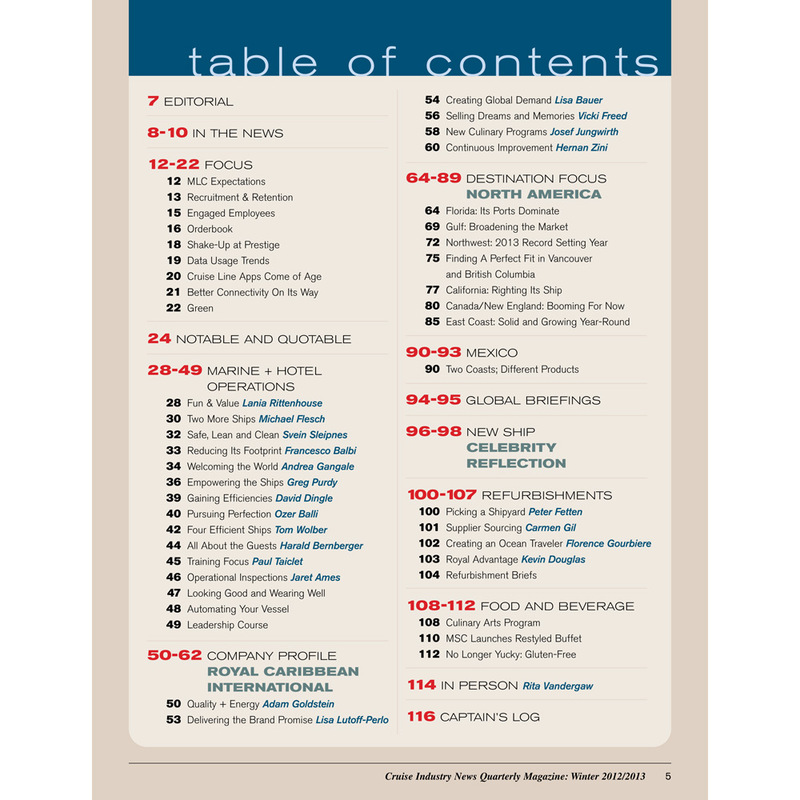 A two-year subscription (eight issues) is $140 in the U.S. and $200 for foreign subscriptions.